Mr. Sweeney has helped clients achieve success in various ways including counseling, developing compliance and early case assessment programs, implementing class action waivers, defeating class certification, and negotiating favorable resolutions. He has significant experience defending employers in class actions and complex litigation, including wage and hour and discrimination matters. Mr. Sweeney has also been responsible for significant litigation matters in other areas, including antitrust, intellectual property, and commercial litigation. 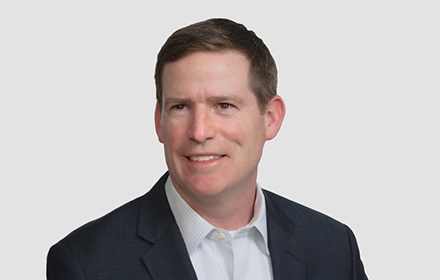 In addition to more than 10 years of experience in prominent national law firms, Mr. Sweeney was Global Head of Litigation and Employment Law for Luxottica, one of the largest eyewear companies in the world and a major retailer. In this role, Mr. Sweeney led a team of lawyers that developed and implemented practical strategies for mitigating litigation risks and costs. Mr. Sweeney was a trusted advisor to Luxottica’s senior business and Human Resources leadership, both in the United States and around the world. Prior to Luxottica, Mr. Sweeney was in-house counsel for a large financial institution where he specialized in restrictive covenant litigation. Mr. Sweeney has a strong appreciation of the role of in-house counsel and value-driven relationships between law firms and clients. Mr. Sweeney was a law clerk to the Honorable James McGirr Kelly in the U.S. District Court for the Eastern District of Pennsylvania.